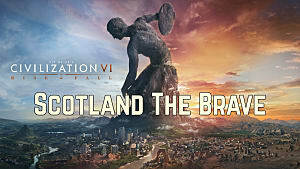 As the gaming world eagerly awaits the arrival of the latest installment in Sid Meier's Civilization series, Civilization VI, on October 21st, developers Firaxis are keeping fans on their toes as they gradually release the details of all of the different civilizations. 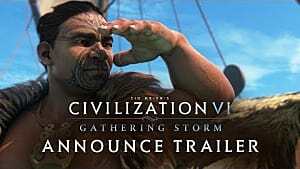 They have been releasing information about them since the original announcement trailer three months ago. 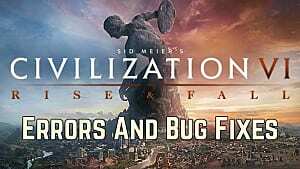 To help you decide which civilization you want to play as I have written this brief overview of each leader and unique aspects they bring to the game. 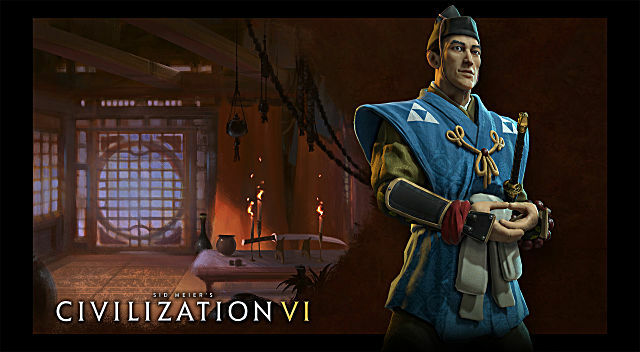 (Please note, this list of civilizations is correct as of 10/05/2016 and will be updated as and when more factions are announced by Firaxis). Peter the Great is the leader for the Russian civlization. He was reasonsible for modernizing Russia during the 1600s. He reformed education, made changes to the countries calendar to mirror the European calendar, boosted trade relations and a greatly investing in industry. His special ability, The Grand Embassy, enables Russia to gain science or culture from trade routes to more advanced civilizations. Unsurprisingly, Russia's special unit is the Cossacks. These horseriders are replacements for the cavalry unit and are still able to move after they have attacked. The unique building to the Russian civ is the Lavra. When using a great person in a city with a Lavra, a tile is added to the cities culture border. Given Russia's colder temperatures, they are used to living and working in the tundra so it makes sense that Russian cities receive additional bonuses to faith and production when built on tundra tiles. In addition, when a city is founded, it receives an increased territory boundry. The great and well-known ruler of Arabia, Saladin, was the first ruler of Egypt and Syria and led the Muslim forces during the Crusades. Upon his death bed, he gave away all his riches and wealth to the people he ruled which immediately elevated him into the history books as one of the most respected and honorable rulers of all time. Saladin's special ability is called Rigtheousness of the Faith and it allows Arabia's faith buildings to be built with very little faith cost and gives bonuses to science, faith and culture. Arabia's special ability is called The Last Prophet. This ability is triggered whenever the next to last Great Prophet is claimed by any other civilization, Arabia will claim the last one. Known throughout history for their horses, it is no suprise that Arabia's unique unit is a mounted division. It is called the Mamluk and it will heal at the end of every turn regardless whether it or did not attack that turn. Generating more science that the university building, the Madrasa is Arabia's unique building. Little is know about Gilgamesh. What is generally known about him comes from scholars and the poem called Epic of Gilgamesh. It is believed that he was a King who ruled over the city of Uruk. He was said to be part man and part God. Adventures with Enkidu is his special ability. This means that when he is fighting a joint campaign, pillage rewards and combat experience is shared with the closest allied unit. 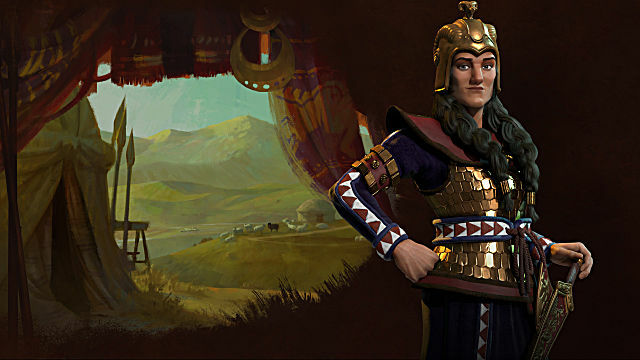 The War Cart is the unique unit given to Sumeria in game. It is a strong unit which is available in-game surprisingly early and it suffers no against penalties against anti-cavalry units and spearmen. The unique building for Sumeria is called the Ziggurat. If placed next to a river, it is give a bonus to both science and culture but it cannot be built on a hill. Sumeria's special ability is called Epic Quest and this gives a tribal village reward every time one of your units captures a barbarian outpost. 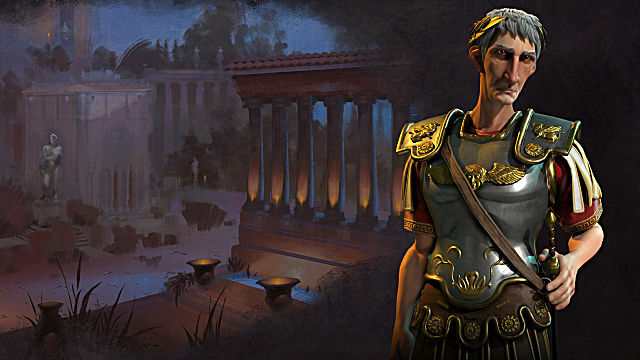 What would a Civilizations game be without the Roman Empire? Well, in Civilization VI, the Romans are being led by the man responsible for most of the Roman Empires spread across the European continent -- Trajan, the 13th Emperor of Rome. Trajan's Column is his special ability and this gives all new cities a free building in its city centre. The Legion is Rome's unique unit. To be honest, it wouldn't be the Roman army if it didn't contain the Legion. In its time, the Roman Legions were massive armies consisting of hundreds and hundreds of men. In game, Legion units are able to build forts and roads. The unique building to the Rome civ is the Bath. These replace the aqueduct and provides more housing and aminenties. All Roads Lead to Rome is the name of Rome's special ability. 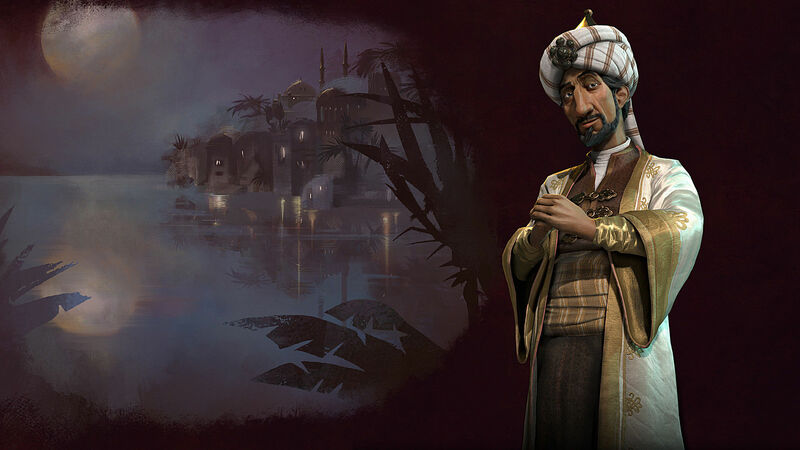 This means that all cities start with a trading post and new cities within trade route range of the captial city start with a road going to them. While there were many heroes who could have been chosen to lead the Greek civilization in-game, Pericles. A famed statesman and a commander of the Greek army, Pericles was responsible for unifying the Greek states and helping to bring on an age of economic and cultural growth. The special ability Pericles brings to the game is called Surrounded by Glory. This gives city states a bonus to culture but only if Greece is its suzerain. Another bonus to culture comes in the form of Greece's unique building, the Acropolis, which is a replacement for the theater district. It must be built on a hill. As Greece was known for its great minds, it is no surprise that it's special ability is named after one of them. Plato's Republic gives players an extra "wild card" slot, no matter what kind of government they choose to run with. Responsible for introducing the World to the Phalanx formation of troops, Greece's unique unit is the Hoplite. Each unit gains an additional bonus when they are next to another unit. 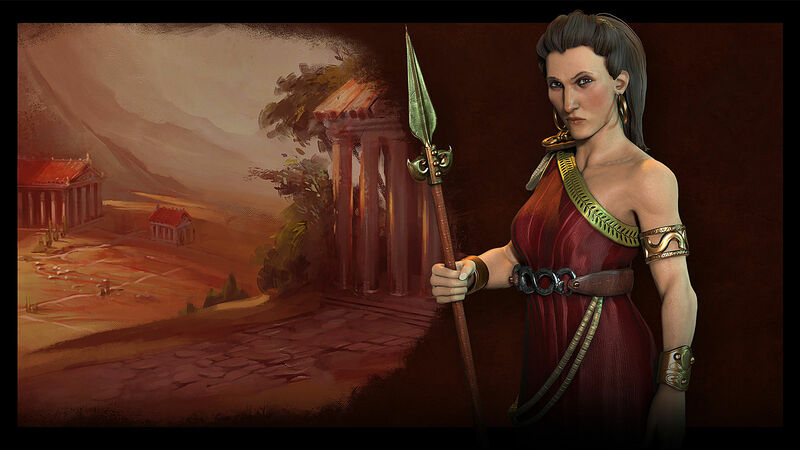 Greece also has another leader, Queen Gorgo of Sparta. She was the great warrior Queen of the Spartan people and wife to King Leonidas I and ruled along side him during the persian invasions led by Xerxes. When playing with Gorgo, you still get the Acropolis unique district and the Hoplite unique unit but she has her own leader ability and preferred gameplay. Gorgo's leader ability is called Thermopylae. This ability grants a bonus to culture point gains during conflict. 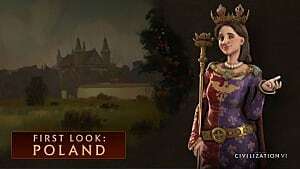 She also has her own agenda and will never do deals with other Civs who have yielded in battle, have never engaged in battle and will never give up items in a peace deal. Joining the fray from Scandinavia is King Harald Hardrada from Norway. He is known as the Last Viking. He had a troubled history with his country resulting in his being exiled to Constantinople. He returned to Norway 12 years later and began to rule to country jointly with Magnus I eventually becoming the sole ruler of Norway when Magnus died. He, himself, died at the Battle of Stamford Bridge in his attempt to take the throne of England. 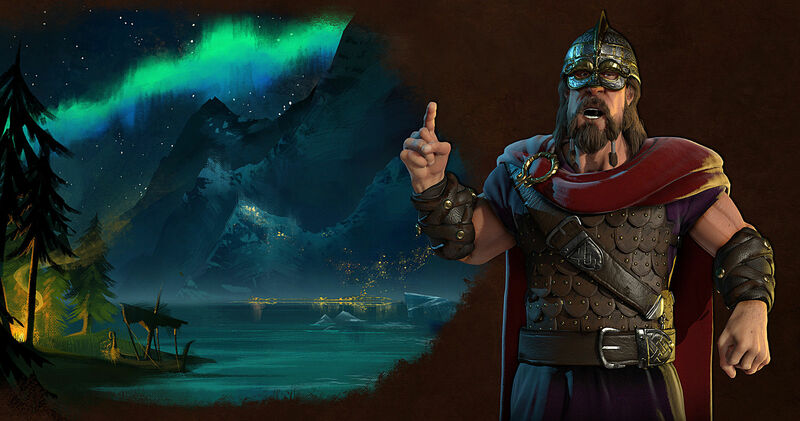 Hardrada's ability is called the Thunderbolt of the North which allows all his melee naval units to perform coastal raids. In true Viking style, his unique units are the Viking Longship and the Berserker. Norway's unique building is the Stave Church. Aside from all the usual benefits of a temple, the Stave Church also gets a bonus to faith if it is positioned next to a wooded area. The Kongo nation is led by Mvemba a Nzinga, also known as King Afonso I. He is most famous for attempting to spread Christianity throughout his kingdom and for forging alliances with Portugal. As Mvemba only converted to Christianity, players will be unable to build any religious sites but will benefit from any follower beliefs from the majority religion in your cities. 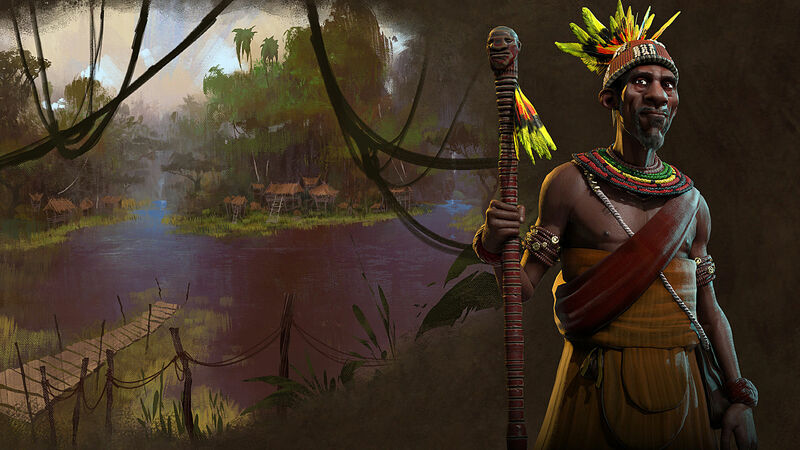 The Kongo's special ability is called Nkisi, and it allows more food, production, and gold to be gained from discovering relics, artifacts and great works or sculptures. The Kongo also gets more Great Artist and Great Merchant points each turn. The unique unit for the Kongolese is the Shield Bearers or Ngao Mbeba. Given that they are used to living in forests, no forest or woodland impedes their movement. The unique district is the Mbanza. 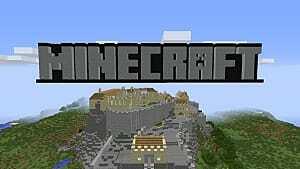 It is neighborhood district and provides housing, food, and gold. Each time you finish building a Mbanza or a theater district, you receive an extra apostle of that cities religion. Mahatma Ghandi is loved the World over for his passive resistance against such things as poverty, women's rights, promoting religious harmony and was the main driving force behind India's independence from Great Britain. His unique ability in-game is called Satyagraha (which was also a term coined by Ghandi meaning "holding onto truth" and is a passive form of resistance). For each civilization that India has met, which has founded a religion and is living in peace, India gets a substance bonus in faith. 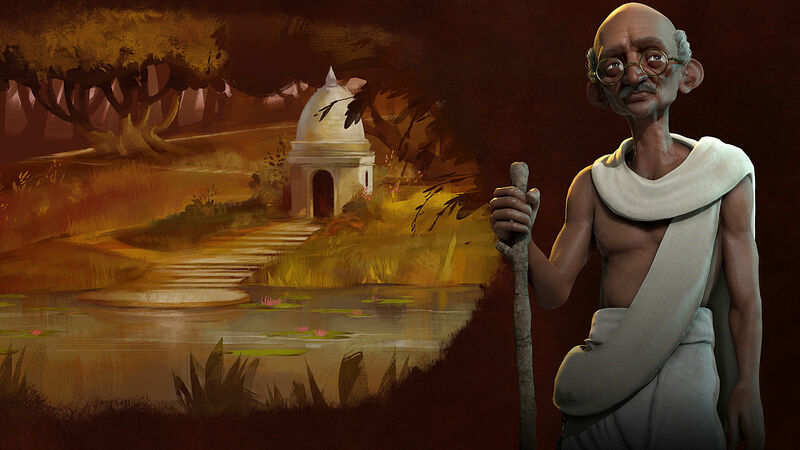 Any opposing civilizations fighting India receive a happiness penalty for fighting against Ghandi. India has a very religion-guided special ability called Dharma. This allows the player to receive all the follower beliefs to all religions present in their cities. Just incase peace doesn't prevail throughout the land, the unique elephant-mounted Váru unit is ready to stomp over enemies, reducing their combat effectiveness. The Stepwell is a unique building which provides faith and housing. If it is built next to a farm, then it will provide more food and if it is built next to a holy site then it will generate more faith. King Phillip II of Spain was the ruler of Spain for 48 years during the 16th century and his empire was massive. He was behind the Spanish Inquisition and sought about taking down the Ottoman Empire halting their conquest across the Mediterranean at the Battle of Lepanto in 1571. Phillip's special ability that he bestows on his troops is called El Escorial and it gives a combat bonus when fighting opponents from other religions and allows his inquisitors to remove heresy one extra time. 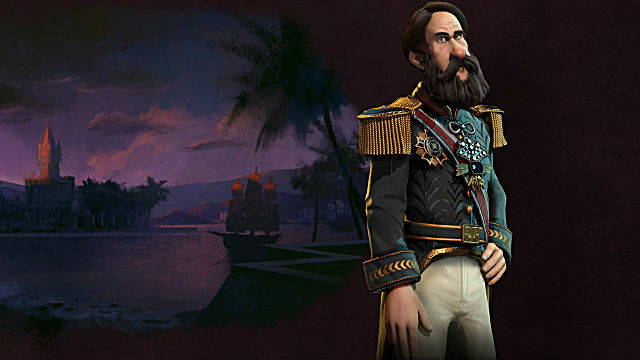 Treasure Fleet is Spain's special ability which gives extra yield between Spanish controlled continents and they can combine ships into fleets before the other civilizations. The special unit is the Conquistador which gets a bonus when there is a Missionary, Apostle or Inquisitor on their tile and if they are next to a city when it is conquered, that city converts to whatever is Spain's majority religion. Spain's unique building is the Mission. When built it gives a bonus to faith and gives a further faith bonus if it is built on a different continent to the home city. Additionally, it gives a bonus to science when built next to a campus. 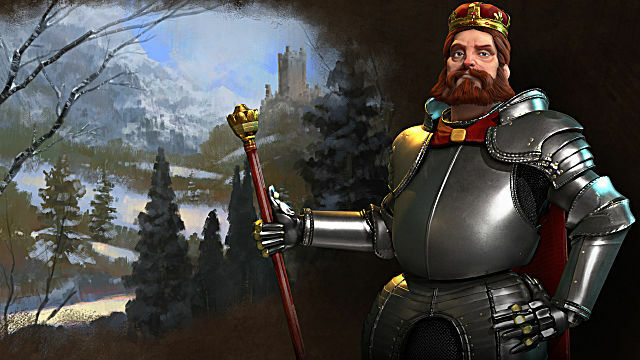 The Holy Roman Emperor and King of Germany, Frederick Barbarossa leads Germany in Civilization VI. He is famed for bringing peace to a warring German empire, and he is remembered throughout German folklore. 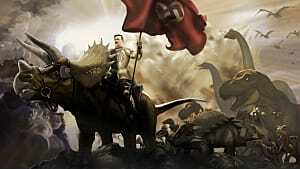 Some say that he will return one day bringing Germany into a golden age. 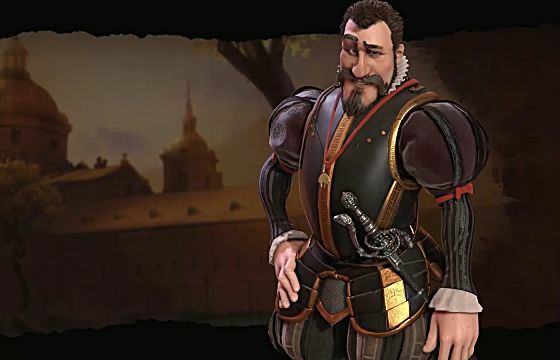 His military prowess continues on in-game where he grants an additional military policy slot and gives his troops a bonus when fighting city-state units. Germany's Free Imperial Cities bonus allows for one extra district tile than the usual population limit would allow, and they gain a unique district called Hansa. This replaces the normal industrial district and gives bonuses when built neighboring a commercial hub, resources or adjacent districts. The unique unit for Germany is the modern U-Boat submarine. Little known about this formidable nomadic Queen but Queen Tomyris was responsible for killing King Cyrus of Persia. She grants her units the ability to heal a little when defeated a unit and receive an attack bonus when engaging damaged units. The ability People of the Steppe creates two units when building light cavalry or the Scythian unique unit the Saka Horse Archer. These mounted troops have a movement bonus and, oddly, don't require any horse resources to build. The Kurgen is a unique district tile to Scythia. It cannot be built on a hill but gets a bonus when built next to pastures. It provides both faith and gold. 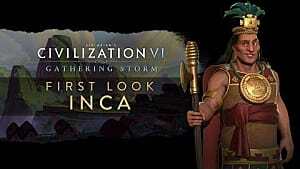 A new addition to the Civilizations roster is Brazil. In Civilization VI, the Brazilians are lead by Emperor Pedro II. He is known throughout history as the man who turned Brazil into an emerging international power and for his support for the abolition of slavery. His unique ability in-game allows points to be recouped when recruiting or patronizing a great person. The name of this ability is Magnanimous, which was also the Emperor's nickname. Brazil can build a unique district called Carnival. Once built, it allows for the construction of the carnival city complex which turns production points into extra amenities. This replaces the entertainment district. The unique unit for Brazil is called Minas Geraes. It is a naval unit which has a great ranged attack. Given that Brazil is famed for its rainforests, it makes sense that its special ability reflects this. You will get bonuses for building adjacent to rainforests. Vive la France! 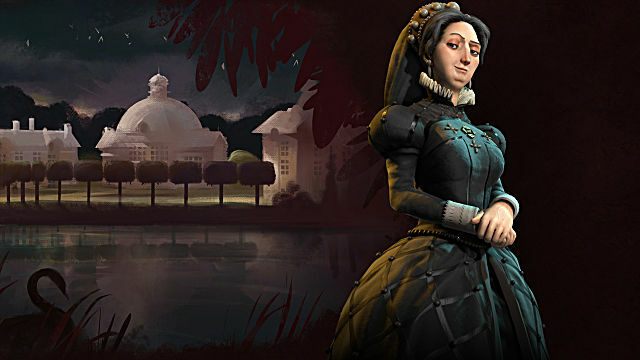 Catherine de' Medici leads the French campaign in Civilization VI. She was the wife of King Henry II and mother to three Kings of France. She was famed for her tenacity in securing the crown of France for her family after her husband's death. Catherine had a keen interest in espionage and had a network of ladies-in-waiting who worked as her spies. They were called The Flying Squadron. It is this network which gives Catherine her special ability in-game. She gets extra diplomatic information from every leader she meets, and once you have researched Castles, she gains an extra spy. The unique building France has is the Château. They must be built next to a river and give a boost to culture points especially if placed near a wonder. France's special ability is called Grand Tour, and it grants a bonus when constructing mid-game wonders and extra tourism points for every wonder constructed. The Garde Imperiale are France's unique unit. They are musket men and they receive a bonus when fighting on the home continent and receive Grand General points for kills. 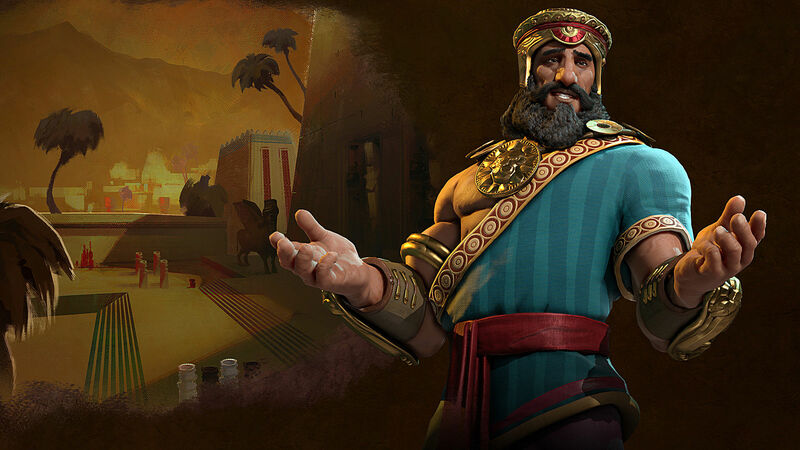 Although their time in the real-world has long since passed, the Aztecs are a force to be reckoned with in Civilizations VI. Led by the legendary Montezuma, the Aztecs built one of the greatest cities in the World, Tenochtitlan, and developed aqueduct systems throughout the region. 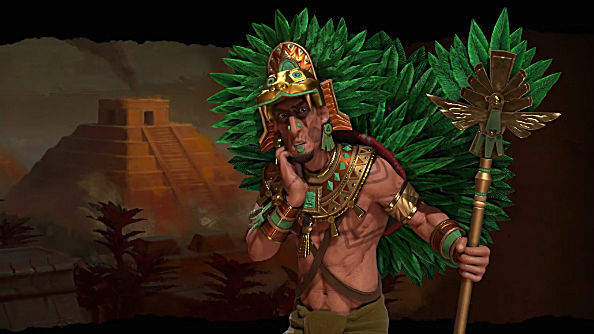 Montezuma's gift to you, should you wish to play as Aztecs, is Gifts for the Tlatoani. It increases the amenities given to cities from luxuries and also gives troops an increase in power if a luxury is improved in their territory. A unique building addition to the entertainment district called the Tlachtli grants faith, amenities and Great General points. The Eagle Warriors are an upgrade to basic warrior units. When they defeat other units, they can turn them into builder units. This unique ability works well with the Aztecs special ability which grants a building speed bonus when building districts (at the time of writing this, this ability is unnamed. Check back soon to find out its name!). 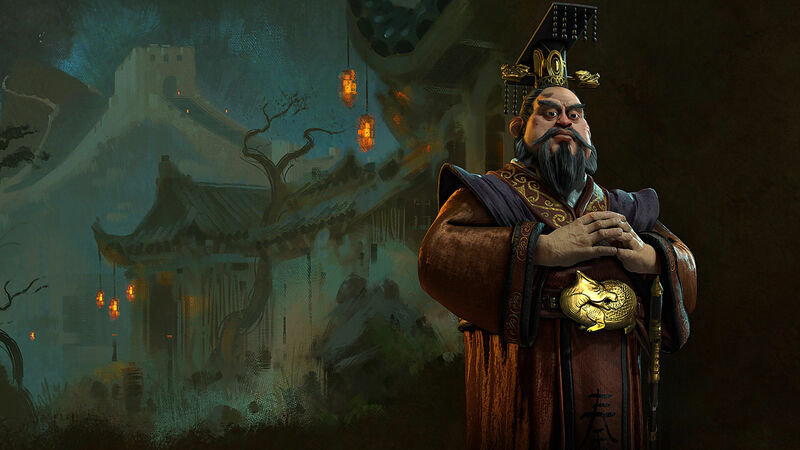 A Civilization game would only be complete with China's involvement. The leader of China in this installment is Qin Shi Huang, the first Emperor of China. He unified China and was the ruler responsible for building the Great Wall of China, an extensive road network across the country, and he built the great mausoleum which holds the famous Terracotta Army. 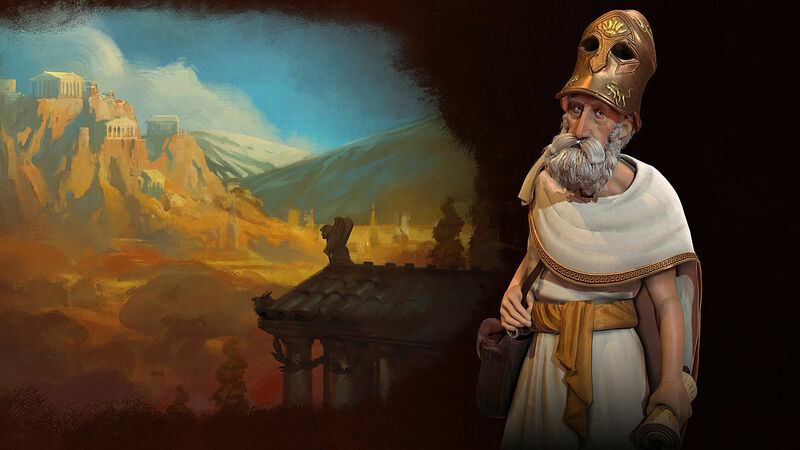 The First Emperor bestows the ability for builders to be used more than once and they can be used to speed up the construction of Ancient and Classical wonders. As already mentioned, Qin was responsible for having the Great Wall of China built, so it makes sense to have that as China's unique building. It is built in segments, and each one uses up one builder. When you start constructing it, the Wall gives a gold bonus and greater defense. As times move on, it also boosts tourism and culture. The unique unit for the Japanese forces is the Crouching Tiger Cannon which is highly powerful and needs no additional resources to create it. 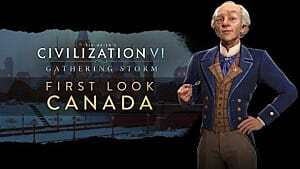 Hojo Tokimune is the leader for the Japanese people in Civilization VI. He is known through Japanese history as the ruler who beat back the invading Mongol army and helped the spread Zen Buddhism. He is also responsible for Bushido, the "way of the Warrior" in Japanese warriors. In the game, he grants a special ability called Divine Wind. This ability gives a bonus to land-based troopers near the coasts and gives a combat bonus to any naval unit near a coastline in shallow waters. Japan's special ability is called Meiji Restoration. It helps Japan make big and powerful cities by granting bonuses to districts built next to each other. It is no surprise that the unique troop to Japan is the Samurai. This legendary unit will fight as if they are at full strength even when they are damaged. The unique building to the Japan civilization is the Electronics Factory. It makes sense to have the in-game Japan mimic the real-life electronic superpower. It replaces the basic factory in an industry zone and grants a bonus production and culture to surrounding cities as well as its own city. The leader of the Egyptian civilization in Civilization VI is none other than the beautiful Cleopatra. She was the last pharaoh of Egypt before it became a part of the newly formed Roman Empire. She committed suicide after her lover, Mark Antony, had done the same shortly after losing at the Battle of Actium. The ability she grants her civilization is a boost to all trade routes. Any trade within her cities give out more gold and the ones coming in from other civilizations gives more food to the originator's city and bonus gold to Egypt. The Egyptian civilization wouldn't be the same without seeing the great Sphinx. This unique landmark gives a bonus to culture and faith as well as giving an added bonus when it is placed next to a Wonder. The unique unit for Egypt is the swift and accurate Chariot Archer. Egypt's special ability is called Eteru. 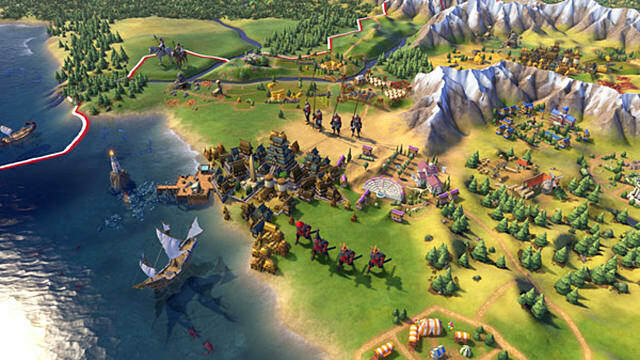 This grants the player a speed bonus when building districts and wonders next to rivers. Queen Victoria is leading the charge for England. She sat on the British throne for a total of 63 years and not only was she the Queen of Great Britain and Ireland, but she was also the Empress of India. She was responsible for much of the way the British government operates today. 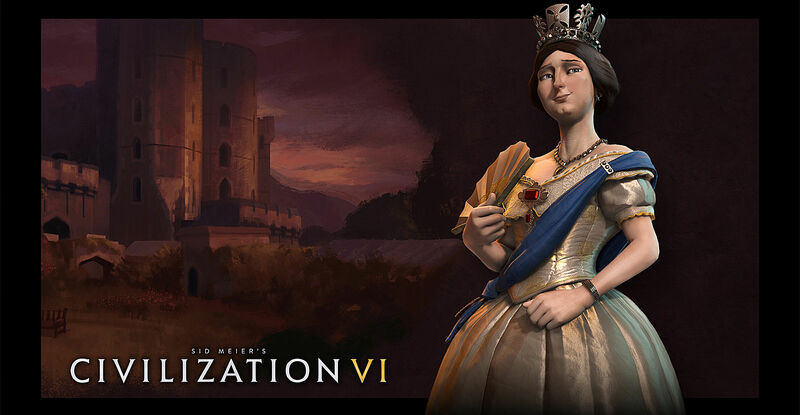 During her reign, there were many developments in culture, science, military organization and saw the great Industrial Revolution of England (which began around 1760 until the mid-1800s). Given the advancement of the military, it is no surprise that England has a unique military district in-game. 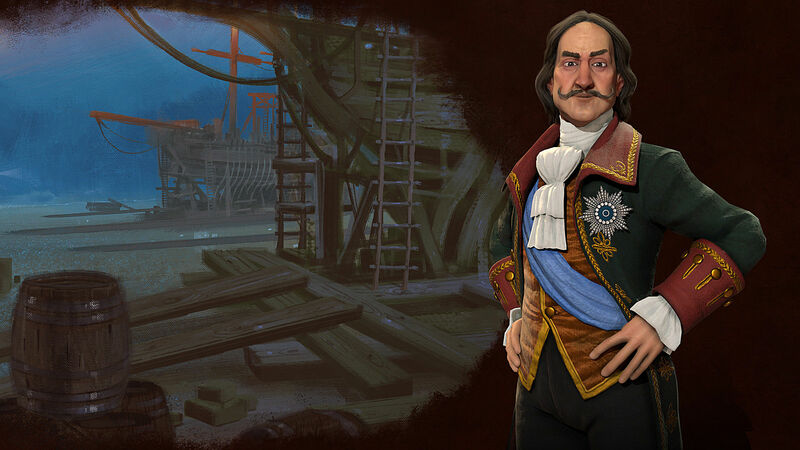 The Royal Naval Dockyard offers a whole host of bonuses, like any naval unit built at the dockyard receives bonus movement points, dockyards on other continents generate bonus gold and players will receive a Great Admiral point. The specialist units for this army are the infantry unit known historically as the Redcoats and a naval unit, the Seadog. England's special ability is called British Museum which gives archeological museums extra slots for finds and each museum also has more archeologists working there. 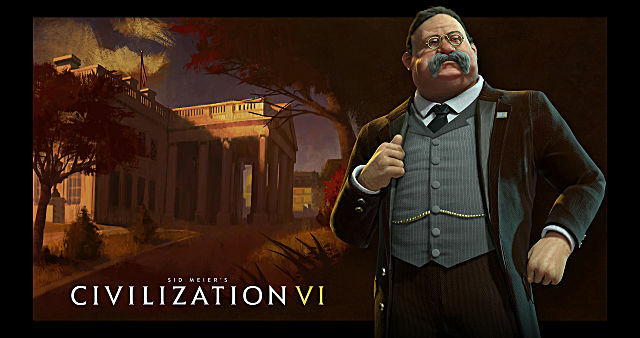 The American forces in Civilization VI are being led by the 26th president Theodore "Teddy" Roosevelt. He is still the youngest person to become President and is responsible for founding the United States Forestry Service in 1905, his efforts in conservation are still felt today. Given his love of nature, those of you who wish to play Teddy will receive a bonus to your National Parks which make them more resilient than parks of other civilizations. The in-game specialist units for America are the P-51 Mustang aircraft and the Rough Riders (1st United States Volunteer Cavalry). Another bonus you will receive playing as America is a combat bonus to fights which take place on your home continent. The unique building to the American civilization is the Film Studio which gives a massive cultural bonus when in the modern era. Founding Fathers is the special ability for America. This means that you get a reduction in the length of time it takes to gain government bonuses. 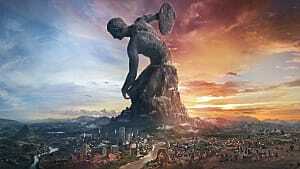 I hope you have found this guide useful in choosing which civilization you want to play. 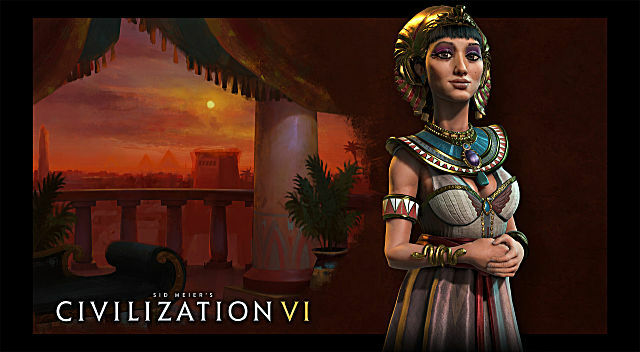 There will be many more guides concerning Civilizations VI so make sure you check back with GameSkinny often!